Indywood Founder Director Sohan Roy with National Film Development Corporation of India (NFDC) officials at Cannes Film Festival. In a remarkable achievement, Indywood, a platform to unite stakeholders in Indian Film Industry under one roof, witnessed the proud launch of another big budget movie. This time Indywood attracted Sri Thenandal Films, one of the leading film production companies in India, to produce Rs 250 crore Sangamithra, a multilingual historic movie. The movie starring Jayam Ravi, Shruti Haasan and Arya was officially launched at Cannes on Thursday in front of an elite crowd of over 1000 film industry legends from more than 100 countries along with the Cast and Crew of Sangamithra. “Sangamithra is our prestigious project. We are excited to make a period film dedicated to Tamil, the oldest language in the world. It will be made in Tamil, Telugu and will be dubbed in Hindi,” said an official of Sri Thenandal Films. Double Oscar-winning AR Rahman has been roped in to compose music. Meanwhile Indywood TV, flagship venture of Indywood (www.indywood.co.in), was launched at Cannes Film Festival. The launch was performed by renowned celebrities from Indo-French Film Industries. Indywood TV is the only Indian channel which got Red Carpet entry in Cannes Festival. “Getting an opportunity to attend Cannes Film Festival itself is a privilege and recognition. Here we have launched our channel officially, we are elated,” said Sohan Roy. Top officials of Indywood TV – Satheesh Chandran, Director, Aries Group, Mukesh Nair, Media Head, Aries Group and Sinseer M, Chief Business Officer, Indywood Film Carnival were present on the occasion. “Indywood TV is positioned as 24/7 entertainment channel in English language with special focus on movie centric programs and shows. Indywood TV will be the only project oriented channel in India which exclusively covers all areas in film industry in single platform with a vision of integrating the whole Indian Film Industry. 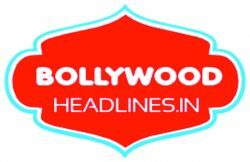 Now onwards every Indian film lover across the globe will be able to see the daily happening behind every movie from various languages on a daily basis as fresh and spicy. Besides, will encourage youngsters maximum to showcase their talent,” he said.